There is a lovely portion of the gardening year, when the end of the growing season is just a cat's whisker away, and for a short while there is really nothing to do but enjoy the last of the flowers. The garden is suspended in time, for a short while, before the great clear-up and move-around starts. I always put off this next flurry of activity as I don't like to disturb and spoil the late summer garden, and be the one to start the process of dismantling it all. This year the colour has continued very strongly and I just didn't want to break up the party. For a couple of weeks I have just relaxed and enjoyed watching the season change... but now is the time for action. Trouble is, I've left it a wee bit too late, so I am now playing a mad game of Plant-Cluedo, trying to find clues to determine the name of the remaining slimy stems, or dried brown stems ! I am to be found on my hands and knees, hysterically searching for clues in the soil - the remains of a hosta leaf, the seed pod of a sweetpea, as proof that it's owner lies beneath the soil. A few brown, slimy leaves are often all that is left ... of what ? Lysimachia? Lupins? Who knows ! I probably cut them back much earlier in the year, so there is very little evidence left for Inspector Clouseau to find ! I am having to rely on memory, as well as foraging for clues . 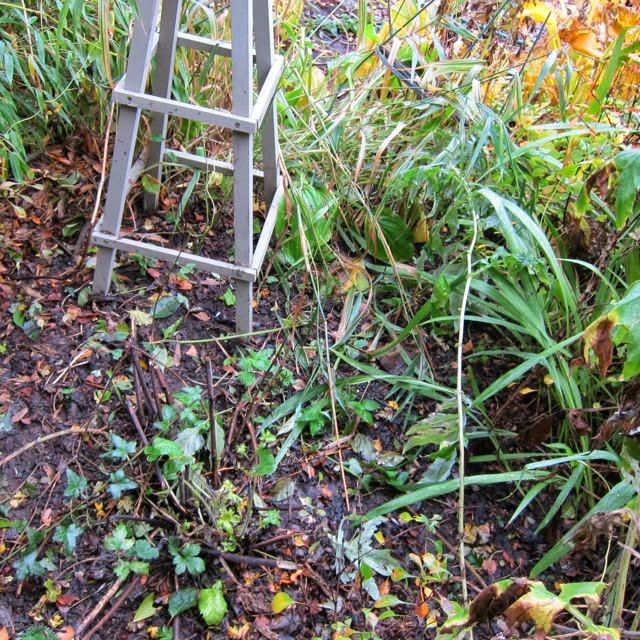 I am trying to dig up and move plants which have all but disappeared as they settle down for their long winter sleep. Seemingly overnight plants have vanished, often without trace ! Hmm ! Slimy stems ... who knows what they are! My 'window of opportunity' for all this moving and dividing is, sadly, just the tiniest bathroom window, through which I am trying to squeeze. 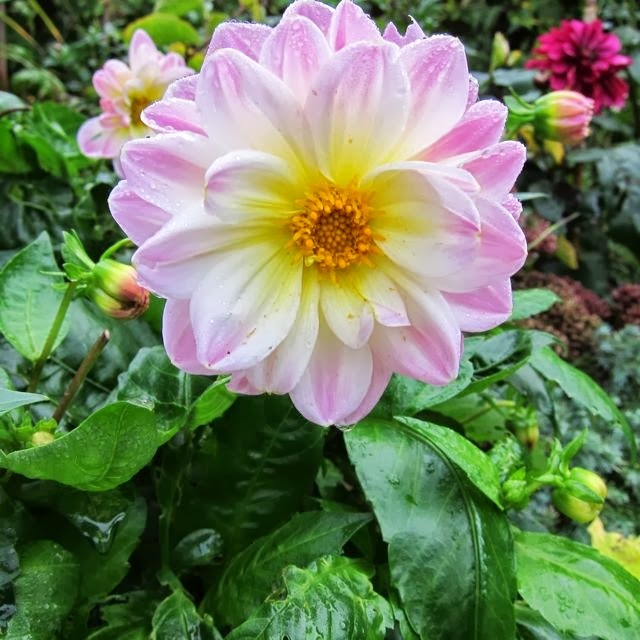 From surveying the garden over a lazy cup of tea, thinking how lovely the dahlias are, I am now outside all day long, desperately moving plants before all trace of them disappears. 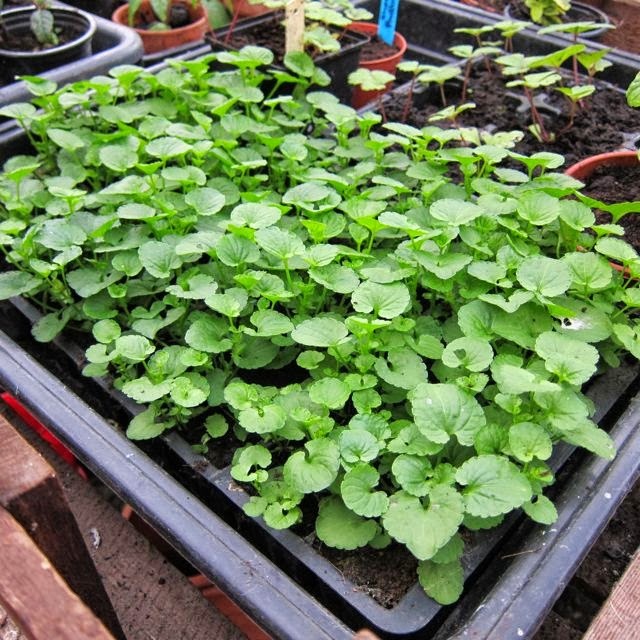 I have also got trays of foxgloves and Violas to plant out, but now when I look at the growing tracts of bare soil, I can't recall what was growing there a few weeks before. Where was that little space I was going to pop a few violas in ? There is now a vast expanse of bare soil as foliage dies off and vanishes. What is lurking under the soil ready to spring into action next year? But, despite my poor sleuthing, there are still many reasons to be cheerful ... the sun is still as warm as summer at the moment, and there has been no frost to kill the colour. 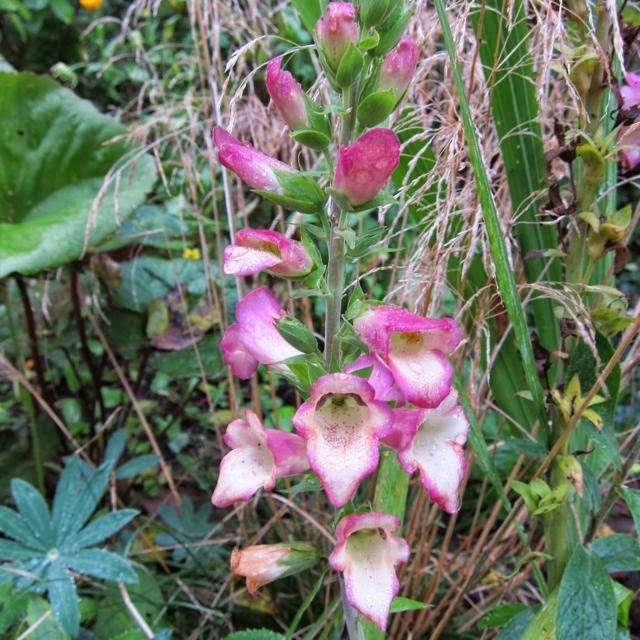 Plant of the Year 2012, Foxglove 'Illumination' did not win my heart initially, as I felt it didn't live up to expectations, but as the season has progressed it has just kept on flowering and flowering. It is beginning to bulk up and become multi stemmed. It is becoming one of the stalwarts of the garden now. 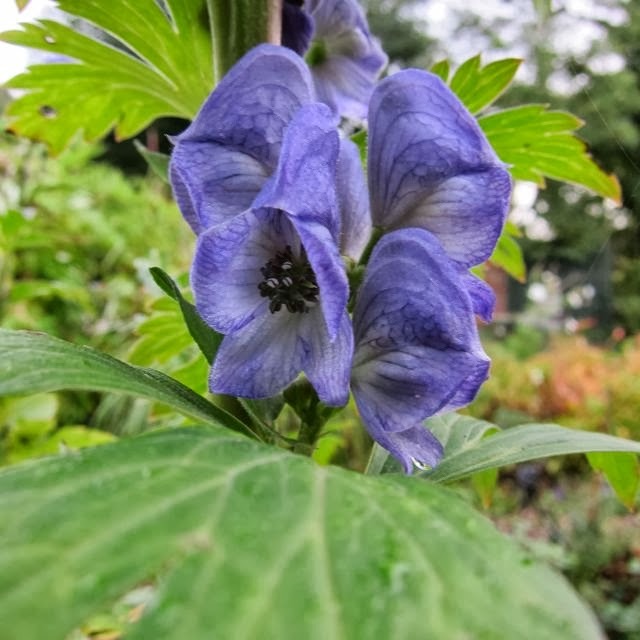 I just don't don't understand cameras - that Aconitum is a deep amethyst blue in reality, and not the washed out shade in the photo ! This is a cutting of 'Graham Thomas' which I took last year, and it is flowering for the very first time. Lots of the English roses are still flowering sporadically, and 'Sceptr'd Isle' is a bit rain battered around the edges, but still a lovely sight on an Autumn morning. Maybe I'll stop playing Plant - Cluedo now, and start again in the Spring, when the new shoots come through and it will be so much easier to see where all those gaps are. Hello Jane! How lovely is your Autumn morning in your garden!! I love seeing soothing colours and yours are just so marvellous. The texture of those viola leaves are like mint... all so vibrant and wonderful. I think the flowers are going to be very pretty :-) Have a great week!! 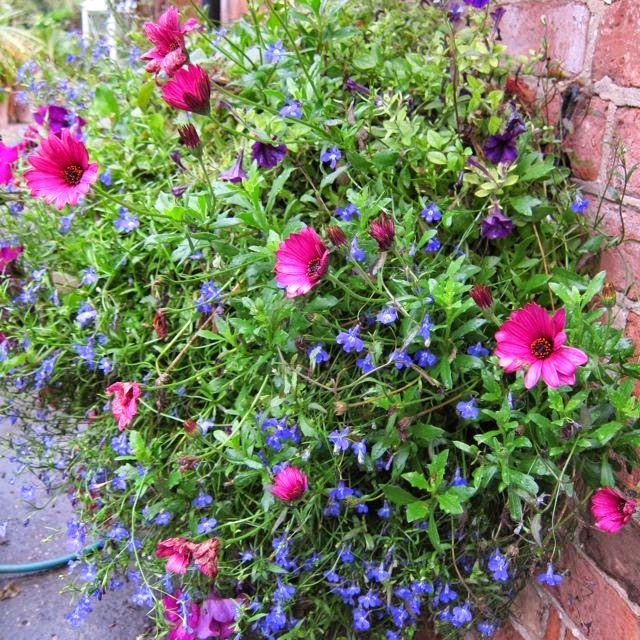 Hi Stephanie and thankyou for your comments.I too think those violas should be lovely. They were given to me by a friend and I have not seen them in flower yet. Your garden has done you proud and still to have so much colour in Autumn is such a joy Jane. Thanks Scotkat. We have to squeeze every last drop out of the season before all is dark and drear, don't we ! This autumn is amazingly sunny and mild here in Lincolnshire ... how about you much further North ? Your roses are beautiful. It always amazes me how the plants can hide under the ground so well - as you say there one day, gone the next. I am always running behind on my chores, so waiting until spring gets my vote! Enjoy these days of autumn. 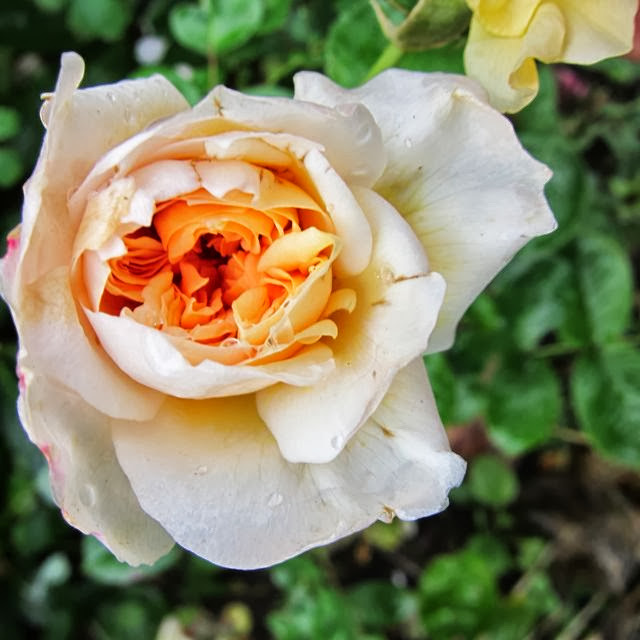 Hi HolleyGarden, roses are just the best ! Endless pleasure ... I can often find a couple to pick for the table on Christms Day. I'm desperately trying to get all my transplanting done, too, before it gets too cold. I think I should be allowed a three of four day work week until I finish my redesigning. This whole "career' thing really gets in the way of gardening! You and I grow the same roses. 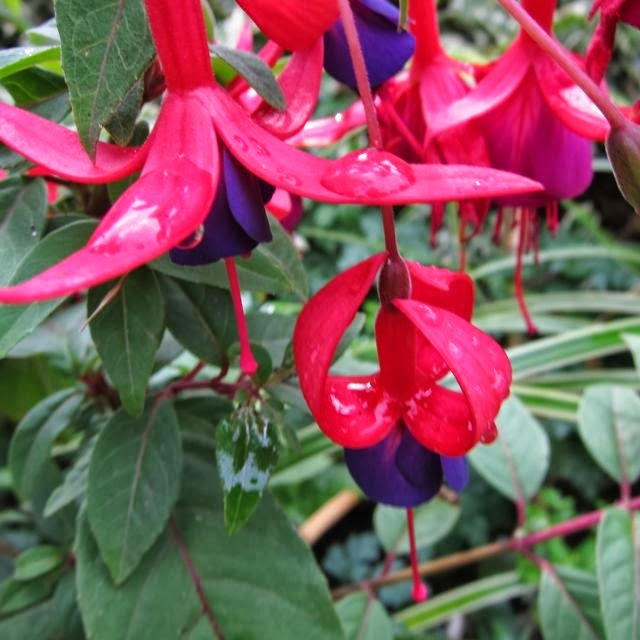 :o) Wish I could grow fuchsias like that! Hi casa M., you are sooo right about the career getting in the way, particularly if that career is education as it takes up so much free time. I am obsessed by my DA English roses and love propagating them. I am in the process of choosing 2 new ones at the moment and what a difficult but enjoyable task that is !! Think Boscobel is coming out on top... is it one you grow and could recommend. It was new here in 2012. 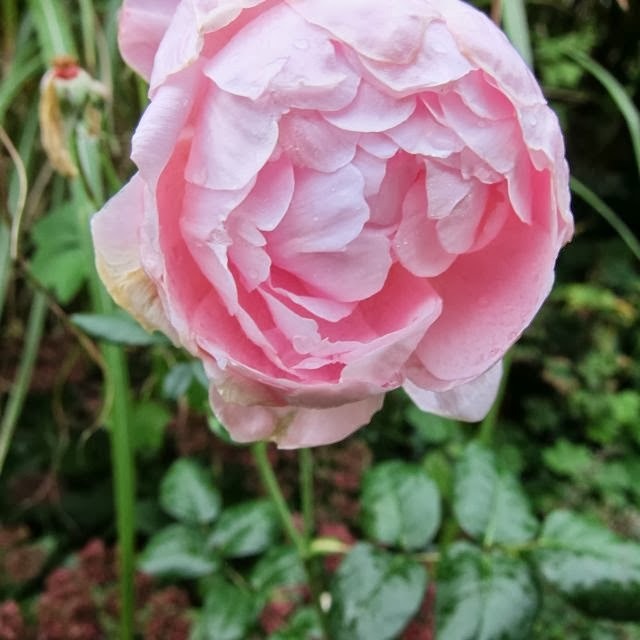 You've still a good bit going on Jane - I didn't know that cuttings from roses would flower in the first year. Might well give that a go! Hi Angie, thanks for your comments. I am very happy for you to feel smug ! Enjoy it ! 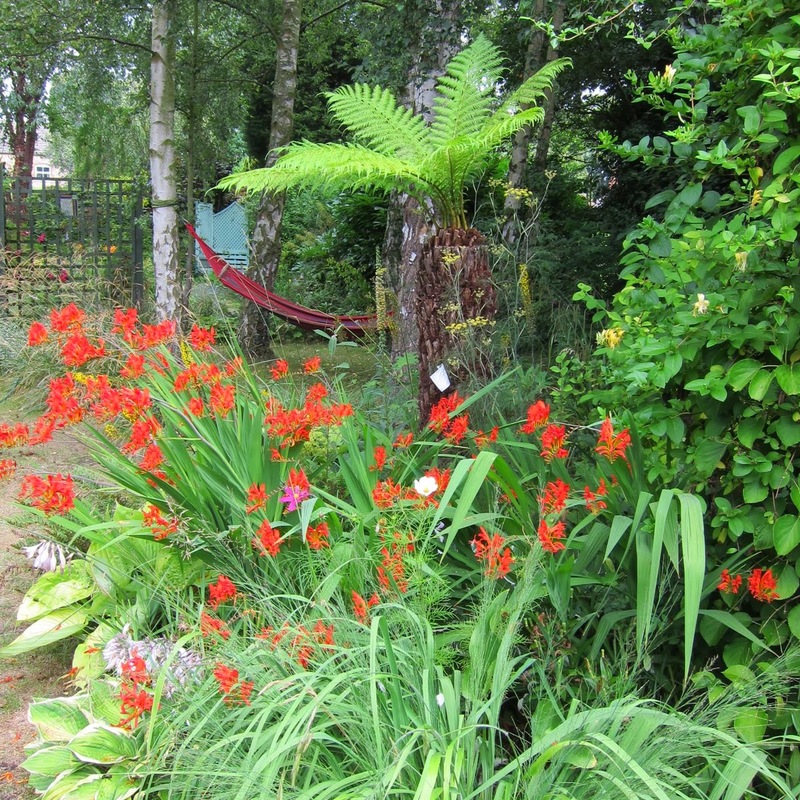 I just couldn't bear to spoil my late summer garden by starting to move stuff around, so left it far too late !! Am catching up now ! 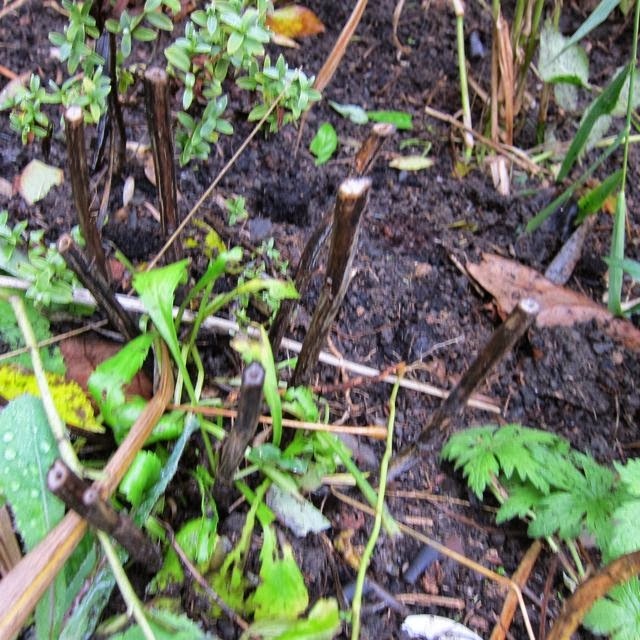 Well worth taking rose cuttings - very easy to do and they are ready to plant out within a year and often flowering. And it's FREEEEEEE !! Indecision rules ... maybe !